PLEASE READ. YOUR USE OF THIS SITE IS SUBJECT TO THESE TERMS OF SERVICE. Absolutely Kittens reserves the right, at its sole discretion, to change, modify, and/or add to these TOU in whole or in part, at any time, without notice. Changes to the TOU will be effective when posted. You agree to review the TOU periodically to become aware of any changes. Your use of AbsolutelyKittens.com or any part thereof after any changes to the TOU is posted will be considered acceptance of those changes and will constitute your agreement to be bound thereby. If you object to any such changes, you sole recourse will be to stop using AbsolutelyKittens.com. These terms and conditions apply to your use of AbsolutelyKittens.com, our web design team or any other website the we own, or operate (collectively "we", "us", "site", "our", "service", "Site"). These terms and conditions do not apply to your use of unaffiliated sites to which any of the Sites only links. The contents of AbsolutelyKittens.com including but not limited to: articles, text, graphics, images, links and other material contained on AbsolutelyKittens.com are for informational and educational purposes only. Any health content or products on this site should not be considered a substitute for veterinarian medical advice. Your veterinarian should always be consulted with any questions you may have regarding a diagnosis, medical condition or treatment. The use of the AbsolutelyKittens.com is a choice that you have voluntarily made, and assume no liability for your use. Evolving issues concerning the Internet are beyond the responsibility or control of AbsolutelyKittens.com. Accordingly, we cannot assume liability for delays, failures or data transmission related to the Internet. Be assured that we take all necessary steps to keep the service downtime to an absolute minimum. AbsolutelyKittens.com makes the best effort to always provide the most complete and accurate information, but it does so on an as is basis. In no event, however, can we be held responsible for any errors that might inadvertently occur, or provide no monetary damages in any way. We disclaim all warranties, either express or implied, including but not limited to merchantability, non-infringement and fitness for particular purpose. You agree to indemnify and hold AbsolutelyKittens.com, Web Design Team and its entities harmless from and against any and all claims, actions or demands including without limitation reasonable legal and accounting fees, resulting from your use of this website. You agree not to represent yourself as someone else or as acting on behalf of someone else. AbsolutelyKittens.com is not responsible for loss of contact services. Breeders and advertisers are responsible for making sure their information is current and up to date, and to submit corrections when their information changes. You agree to not submit copyrighted photos or information to AbsolutelyKittens.com without permission from the owner of such material. You are solely responsible for obtaining such permission and for any damages resulting from unauthorized disclosures. AbsolutelyKittens.com retains the right to modify entries for spelling, grammar, and to conform to this sites overall style as well as remove content or other material that we, in our sole discretion, consider infringing, offensive, abusive, defamatory, obscene or otherwise unacceptable. If you opt for the monthly payment membership your credit card will automatically be billed each successive month at your current rate unless you cancel membership. There are no refunds but if you would like to cancel your membership, please contact us using our contact form or through your Paypal account and we will remove your listings. We reserve the right to change pricing effective with your renewal date. All information contained on this web site is supplied to the public for free. We do not endorse or guarantee any advertiser, seller or pet breeder, information they submit, pets they sell, services, products or supplies listed on AbsolutelyKittens.com. All information is supplied by individuals listed and each is responsible for themselves. Interested pet buyers are recommend to do a thorough search and contact as many breeders as possible for the best education available. By asking questions, getting references, reviewing written agreements and contracts will help avoid future disputes and ultimately help you in making your decision. 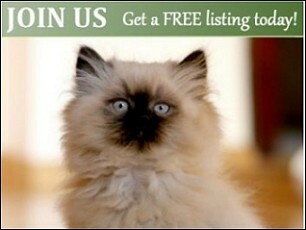 Posted information, expressed opinions, and images appearing on AbsolutelyKittens.com in listing ads or any links are those of individual user and advertisers and do not reflect those of AbsolutelyKittens.com. We reserve the right to change the content and policies of its website at anytime. We reserve the right to refuse advertising to anyone. You agree that we have no obligation to monitor or regulate the claims made by breeders in regard to their listings. All listing information is provided by users, advertisers and breeders and is only edited for adherence to posted listing rules, spelling, and grammar. However, we reserve the right to take appropriate action if we become aware of any use of AbsolutelyKittens.com or that we believe is unlawful, wrongful or is otherwise inappropriate in our sole opinion and discretion, and not subject to any objective standard. 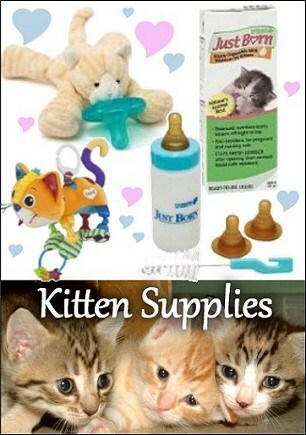 AbsolutelyKittens.com make no representations or warranties with respect to the breeding or business practices of advertisers, sellers or breeders listed. Your correspondence or business dealings with advertisers, sellers or breeders on this site including but not limited to payment and delivery of related goods or services, and any other terms, conditions, warranties or representations associated with such dealings, are solely between you and such advertiser. You agree that AbsolutelyKittens.com or web design team shall not be responsible or liable for any loss or damage of any sort incurred as the result of any such dealings or as the result of the presence of such advertisers. You agree that AbsolutelyKittens.com, in its sole discretion, may terminate your listing content and/or account without issuing a refund, any advertiser, seller or breeder at any time for violation of TOU or the law, or as we otherwise deem appropriate. This may include but not limited to: having pets seized by local animal related authorities, proven case of selling unfit animals, financial fraud, being suspended from a major cat registry, or repeated complaints from listed breeders about breeding or business policies. AbsolutelyKittens.com without notice, may in its sole discretion and at any time discontinue this Service, or any part thereof, without issuing a refund. You agree that any termination of your access to this service under any provision of TOU may be effected without prior notice, and acknowledge and agree that AbsolutelyKittens.com may deactivate or delete your listing and all related information and shall not be liable to you or any third-party for any termination of your access to the Service. You agree that AbsolutelyKittens.com does not endorse or responsible for the legality, accuracy of content, advertising, other materials found on other sites or liable, directly or indirectly, for any damage or loss alleged to be caused by or in connection with the use of AbsolutelyKittens.com or links to other sites. Your participation, correspondence or business dealings, regarding payment and delivery of animals, specific goods and services, and any other terms, conditions, representations or warranties associated with such dealings, are solely between you and the other party. As with any animal listing service, breeders are accepted in good faith and expected to maintain high ethical standards in breeding and business practice. AbsolutelyKittens.com does not become involved in any disputes between advertisers, sellers or buyers, regarding the quality, health, cost, money transactions, or any other issue related to the sale of pets, or products on this Site. It is the sole responsibility of the buyer to do any necessary research before making any such purchase. Should we become aware and provided absolute proof of animal neglect/abuse, they and any other associated links will be immediately removed from this Site. AbsolutelyKittens.com reserves the right to remove, suspend or not accept advertising from any advertiser, seller, or breeder for any stated reason that does not violate the law. 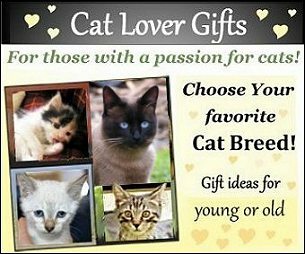 AbsolutelyKittens.com may choose to not list, put temporary on hold, or remove a listing with whom we have received repeated complaints and are under no obligation to accept new or continued advertising from any breeder or business. You agree to indemnify and hold AbsolutelyKittens.com and its web design team, harmless from any claims, liability, loss or demands including reasonable attorneys' fees or damages of any kind resulting from use of this Site. AbsolutelyKittens.com makes no representations about the suitability of this Service or about any information or content made accessible by this Service, for any purpose. We make no warranty that this Service will meet your requirements, will be uninterrupted, timely, or error free. AbsolutelyKittens.com reserves the right to not list or to terminate any web site listing or advertisement at any time for violation of this Agreement or the law, or as we otherwise deem appropriate without notice. Should AbsolutelyKittens.com change any Service at any time including discontinuance, no refunds will be provided.